Anxiety is at an all time high, but there's a prescription for dealing with it. 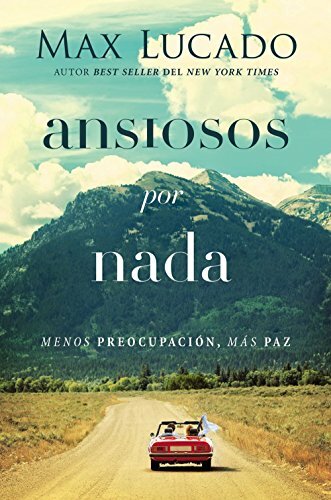 Max Lucado invites readers into a study of Philippians 4:6-7 where the Apostle Paul admonishes the followers of Christ, "Do not be anxious about anything..."
Philippians 4:6 encourages the believer to "be anxious for nothing." As Lucado states, the apostle Paul seems to leave little leeway here. "Be anxious of nothing. Nada. Zilch. Zero." What's he suggesting? That we should literally be anxious for absolutely nothing? Lucado says, "The presence of anxiety is unavoidable, but the prison of anxiety is optional. It's the life of perpetual anxiety that Paul wants to address. Don't let anything in life leave you perpetually in angst."